Farms across Long Island are selling their summer treat to anxious customers. Sweet corn is definitely one of the top vegetables of summer. Corn loses its natural sweetness with every minute after it's been picked, so freshness is key for the best corn-on-the-cob (or corn off the cob!) experience. Look for fresh, bright, moist cut ends and plump, full kernels with you buy sweet corn. Be warned, some farms have a no peeking policy. Once you get corn home, you can store it loosely wrapped in plastic in the fridge until you're ready to cook it – but be warned: the sooner you use it, the sweeter it will be. There is nothing better than freshly boiled corn, slathered in butter, sprinkled with salt, and eaten right off the cob. It's truly one of life's great pleasures. Discover the uses of corn and corn foods – corn dogs, corn fritters, corn salsa, and corn bread. All of these cornfields transform themselves come Autumn. if you have never attempted to meander through a corn maze, you might want to give it a try this harvest season. These mazes are amazing in their complexity and are fun for kids and adults alike. Please share your favorite corn farm or recipe with us! 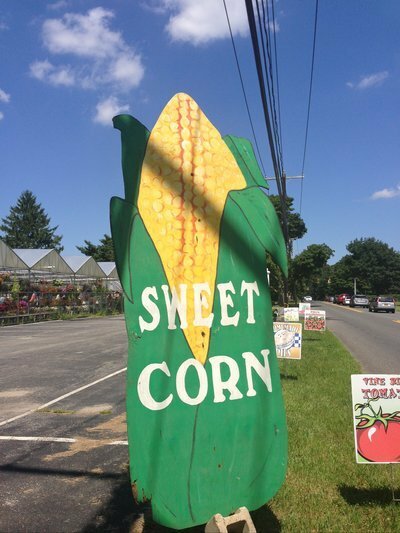 Subject: LongIsland.com - Your Name sent you Article details of "Farms Selling the Sweetest Summer Corn"